As some of you know already, we have been developing our servers since Vanilla. Back in the day, the private server development community was full of enthusiastic people, eager to do their best to contribute to the emulating projects.. We got a lot of help from the MaNGOS team and we also shared our code with them, which made the whole scene so exciting and positive. However as time passed, this contribution started to fade, currently it is almost non-existent. We really miss this development community and the whole experience. When the Atlantiss team launched their Netherwing realm, we saw that they were struggling to stabilize their server. We knew what it was like, having had our fair share of stability issues, server uptime not reaching even 1 hour… We worked together for days to find the causes of these issues and fix each and every one of them. This is why we decided to offer our help to the Atlantiss Team, which they accepted. It was such an amazing experience to work together again with developers, to solve critical issues that affect so many people. It has been, and still is an exhilarating feeling. Working together, we quickly managed to stabilize the Netherwing realm, and we’ve been keeping in touch since. The idea and the possibility of a partnership has started to develop in both teams. Together we came up with an idea: the Atlantiss team would like their Cataclysm players to continue their journey in Azeroth with the next expansion, Mist of Pandaria. Since Tauri already has a working Mists of Pandaria realm, the idea of a transfer from Atlantiss – Cataclysm to Tauri – Mist of Pandaria started to form. We cautiously thought it through and it seems feasible, so we’ve been working together on the details of the transfer ever since we decided that we’d move forward in this direction. 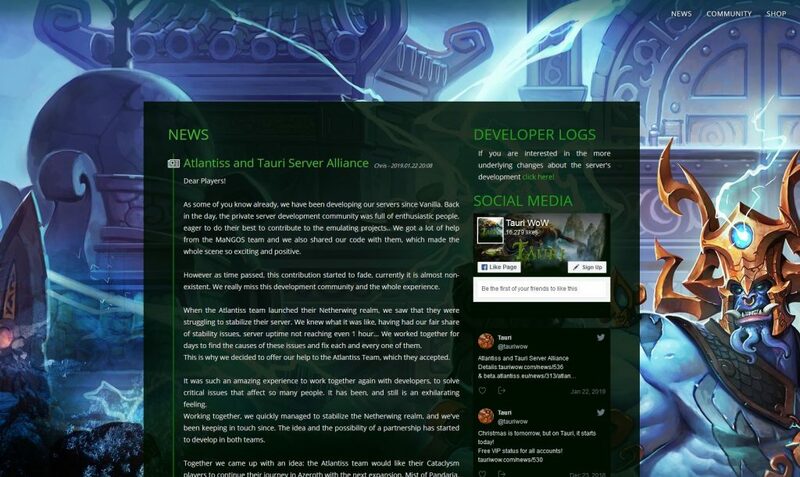 Therefore we’re happy to announce the that on the 29th January we will be enabling trasfers from Atlantiss Cataclysm to Tauri – Mists of Pandaria. For the transfer to take place we won’t need any personal information from the players moving to Tauri. No personal information or data is shared at any point between Tauri & Atlantiss. 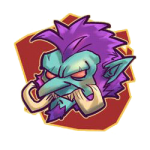 The newly arriving players will have to register an account on Tauri, since their character will be transferred to that account, and from there they will be given the choice of realm (Tauri or Evermoon) they would like to transfer to. More details about the transfer shall be announced as the transfer service is enabled.